What does culture really mean? Understanding the beliefs and values of different cultures may promote global -mindedness. The words "beliefs" and "values" are not really that easy to define or distinguish. A quick glance at different definitions of these words does not give you a simple answer. What strategy could best address this dilemma? How can the grade 6s begin to appreciate their beliefs and values? So we started with the word "culture" And their responses were, as I anticipated, pretty basic - Family, Flags, Food and Festivals. I allowed them to place their post-its wherever they pleased. Later, after everyone had a chance to express themselves, I moved most of them up to the tip of the iceberg, explaining that they were the outward expressions of culture. ...and asked them to think of other less obvious words related to culture. It was great to see them coming up with words such as "respect", "life style' and 'animals!" The holy cow, the whale in the aquarium, the guide dog, roasted turkey...The intention was to give students a chance to tap into their beliefs and values when they thought of animals and how we use or abuse them. Ms Lea pointed out that as students engage in debate, they may stumble upon the fact that they could actually change their minds about an idea; in other words, they would understand that beliefs and values can change! On the way towards this understanding, our class faced a rather big hurdle. The quality of their responses towards the pictures did not reflect deep thinking. How could the students realise this without the teacher bringing it to their notice? Harumi took on the lead role here and helped the class sort the students' responses into HOT and LOT questions (clink on link for more information on this). 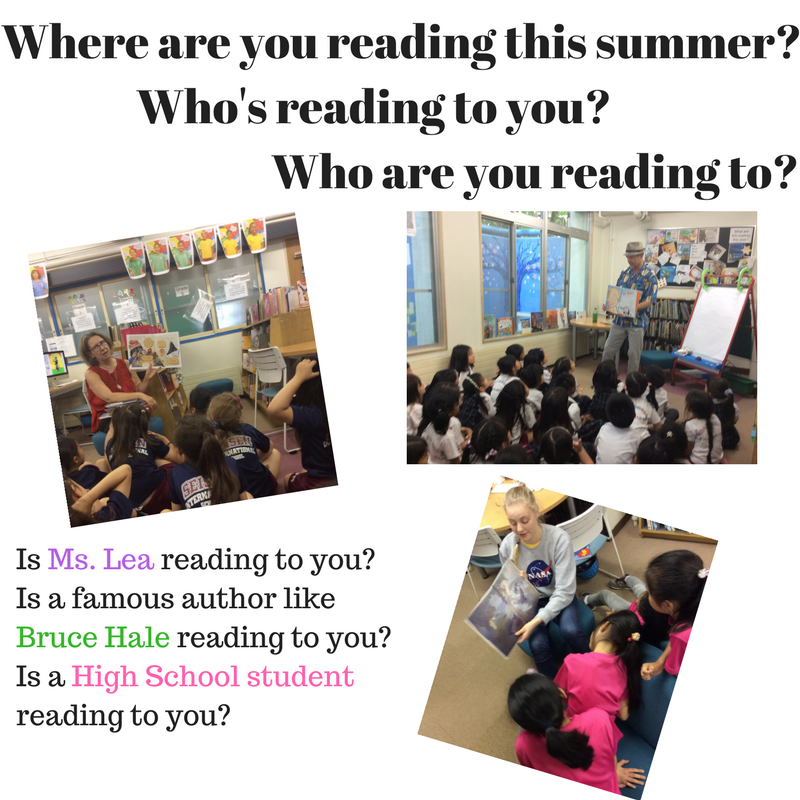 This activity was a great way to see how we thought about things. We have just began the year, and I hope with more probing activities, we can help encourage the students to think more deeply about issues and hopefully become great global citizens of this world. 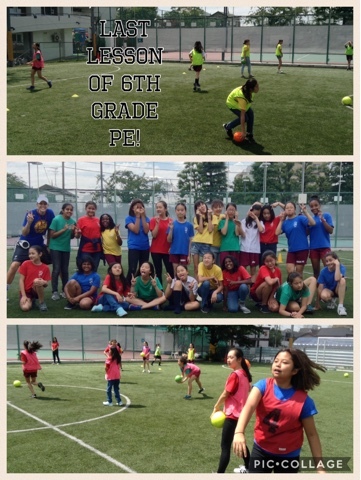 6B PE Last lesson before summer! 1). 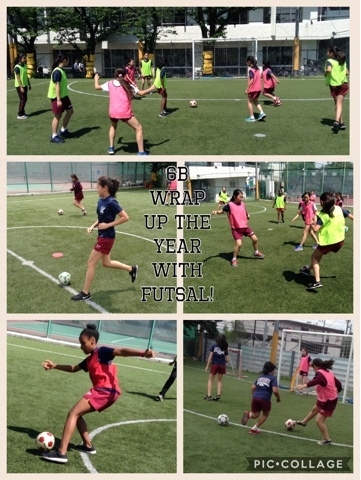 Stay active! Get outside and move! 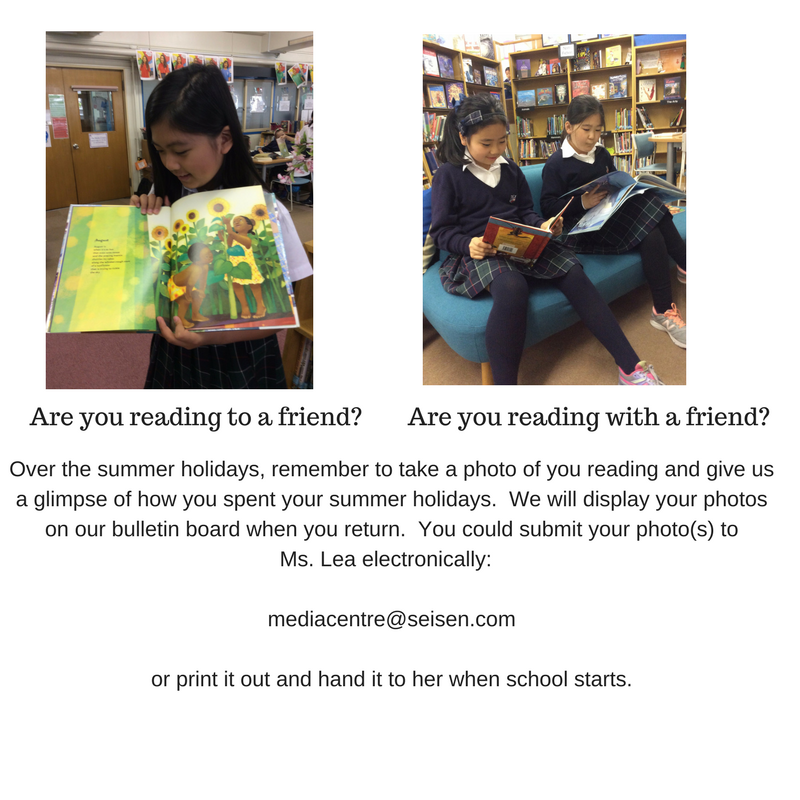 Scan the code to hear our greetings from 6B! What do we know about Day and Night? Interesting information about jet lag from a student. Well, the sun does set...but you have to wait for months to see that. The students have began their research on various aspects of space: Lunar phases, Seasons, celestial bodies and space exploration. They all seem to have nearly the same sizes in this project! Rather than collecting facts about planets, we tried to sort them out according to their characteristics. Why are some planets smaller than others? Why do some planet have bright colours? Why are the rings of Uranus so different from Saturn? Why doesn't Jupiter have rings? These questions prompted the students to set homework for themselves; it was fun learning about the planets the next day! The moon phases, and the concepts of the equinox and solstice are still proving to be challenging. How can we recognise a waning from a waxing moon? What does the moon look at at various stages at the equator? Does everyone experience the eclipse of the moon at the same time? Did any of these questions make you think and want to find out the answer? Assessment data begs for repeat lessons! 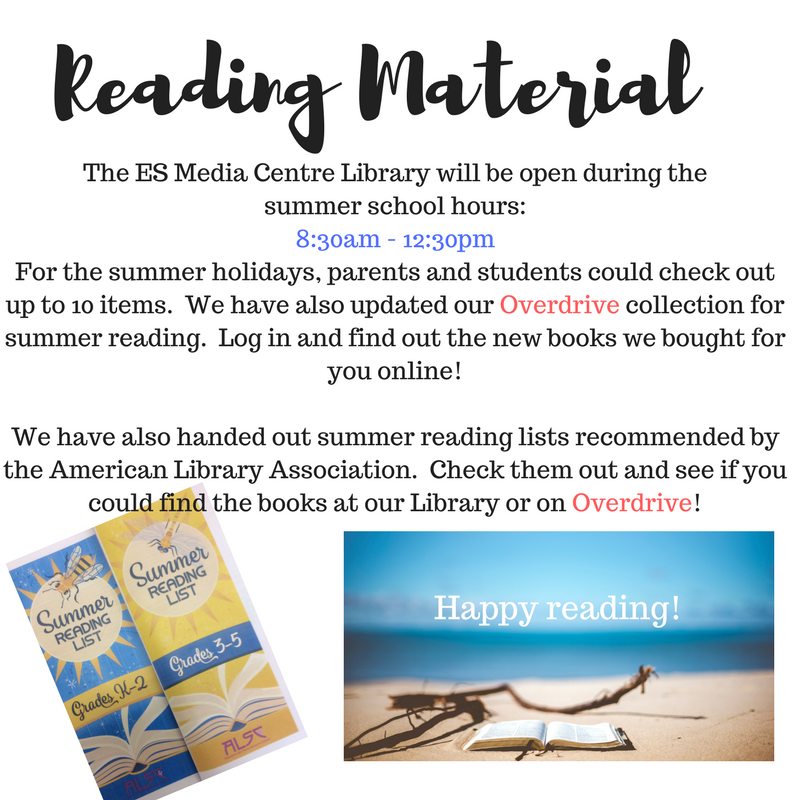 Click on the images for a better view. We used Goformative for this. We made personal connections with time zones as we talked about our travel experiences. A plane left airport A at 8:30 pm on Tuesday and landed at airport B at 9:00 pm (local time) on the same day. If airport B is 19 hours behind airport A, how long did the trip take? This problem took the whole of our Maths lesson and I really enjoyed watching everyone working together trying to solve the problem. Time can vary according to your relativity according to Neil deGrasse. Watch his video here. What do you make of this? What does long daylight hours imply? Are the sun's rays falling directly on the equator in Canada or on the tropic of Cancer if the sun sets at 21:27 pm? Phase Four Writing Celebration- Parents, Friends, Family, EVERYBODY- Please come along! Day 3 Nikko! Back safely to Tokyo! Today we had a good start to the day with breakfast, room cleaning and room checks. The girls the had some time to do a ropes/obstacle course and a play disc golf for a couple of hours. 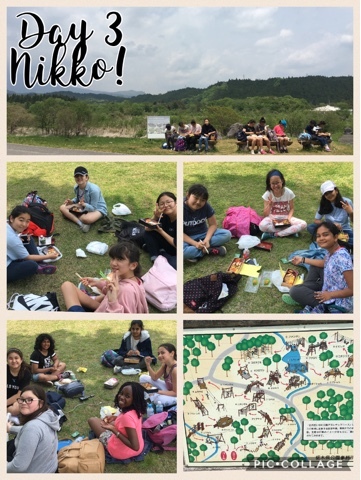 We ate our bento lunch amongst the beautiful scenery in the mountains and then departed back to Tokyo! 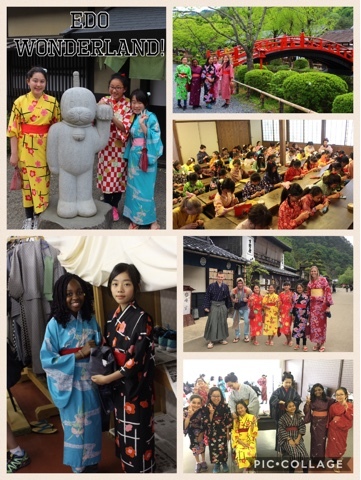 We arrived safely back to Seisen and made some great memories on the Grade 6 class trip this year! 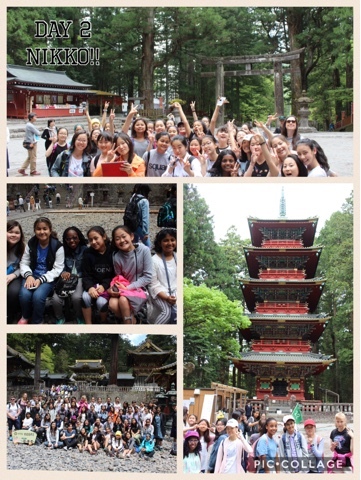 The Grade 6 students and chaperones enjoyed a great 2nd day in Nikko! We started out the morning with a traditional Japanese breakfast, followed by a stroll to the Rinno-Ji Temple and Tosho-go Shrine. The tour guide showed us around explaining all the stories, history and facts about the sacred area. We saw the original See no Evil, Speak no Evil and Hear no Evil Monkey shrine as well as the Sleeping Cat shrine. We had a few light showers throughout the walk but otherwise the sun was out and great temperature! 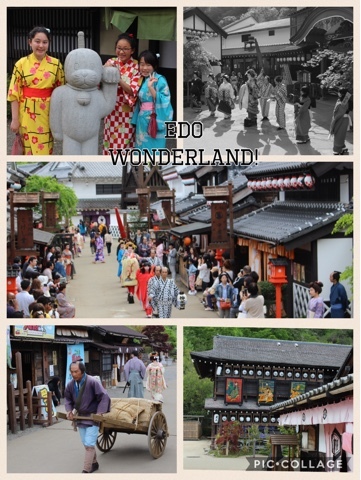 After our curry lunch at the hotel we headed to Edo Wonderland where we experienced what times were like in the Edo Era in a village setting. Dressing up in kimonos, peasant and samurai outfits. The girls enjoyed a traditional Edo school lesson and crafted a Japanese bean bag, otedama. Strolling around the Edo village was a great way to spend the afternoon before heading back to dinner. The talent show is kicking off soon and the girls are preparing! A great way to celebrate Day 2 of the Grade 6 trip!